Mr. Laurel and Mr. Hardy decided they needed a rest -- They had been out of work since 1921. Stanley: Septober... Octember... No wonder. This is one of Laurel & Hardy's weaker short film entries from Hal Roach Studios. It suffers from a repetitive script and an ending that feels so tacked-on that I can't help but wonder if the crew realized they were filming a mess with no good resolution. The byplay between Stan and Oliver is the bright spot, though some of the gags in the bedroom scene are a little too hokey to get much of a laugh - that has to be the fakiest fake bat I've EVER seen in a movie. The opening scene, with the Boys fishing off the pier, contains most of the movie's funniest material. 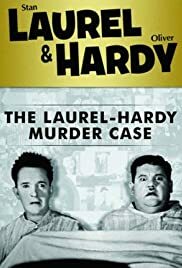 You can always find something good about even the weakest Laurel & Hardy film.